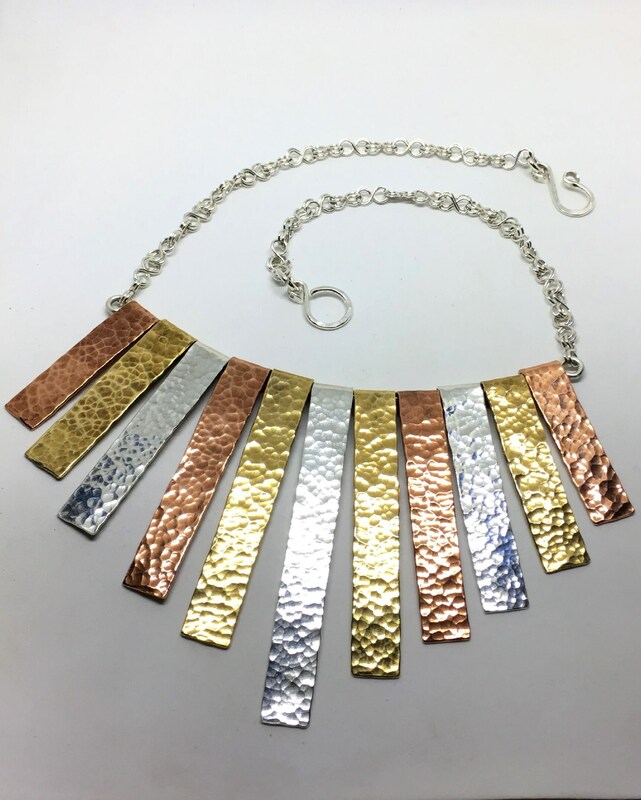 A stunning tri-metal designed necklace. Simultaneously rustic & elegant. 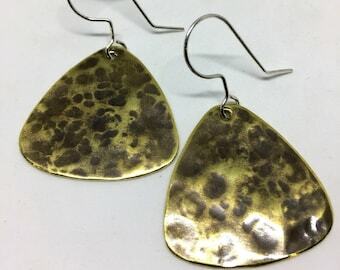 Hammered & Polished. Featuring solid tags of .925 Sterling Silver, Brass, & Copper hanging from handmade chain of .925 Sterling Silver figure-8 double links and Hook/Eye clasp. 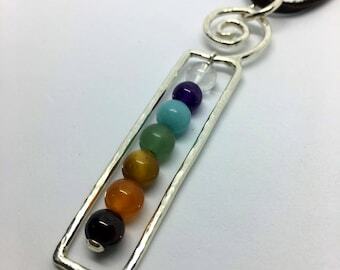 Clasp and all sterling silver tags have been stamped with purity marks. All tags are around 10mm wide (or just shy of 7/16"), with the shortest length at 1.75" and the longest at 3.187" in length in the center. The entire length of the chain + tags is 18" long. All items purchased from my shop comes with a gift box and mailed with insurance. Always. Handcrafted by Midgard Metal Designs.